Item # 305092 Stash Points: 4,499 (?) This is the number of points you get in The Zumiez Stash for purchasing this item. Stash points are redeemable for exclusive rewards only available to Zumiez Stash members. To redeem your points check out the rewards catalog on thestash.zumiez.com. 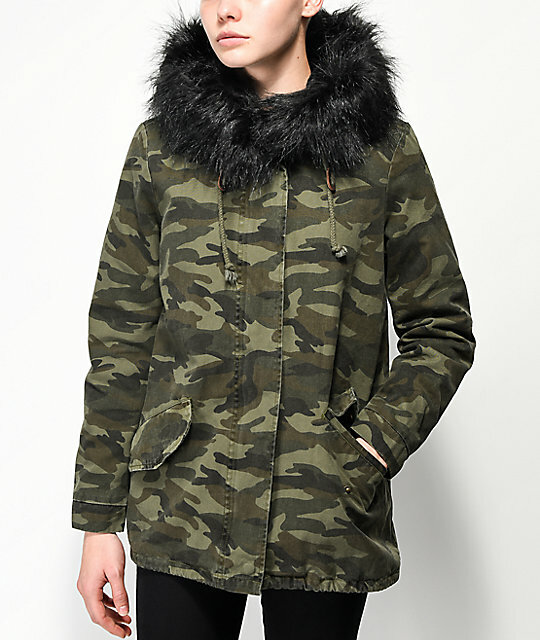 Top off your casual cold weather looks in the Camo Faux Fur Jacket from Jou Jou. This ultra-cozy jacket features a green camo print canvas exterior, and is lined with a super soft black faux fur. 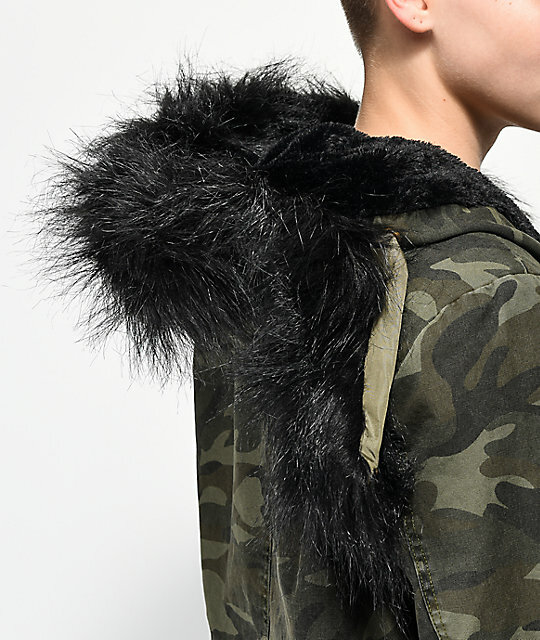 A removable faux fur detail is added to the adjustable drawstring hood for a customizable silhouette. Two snap button hand pockets, full zip closure with snap button placket, and a fishtail bottom hem is added for a casual design that will keep you warm when the temperatures drop. 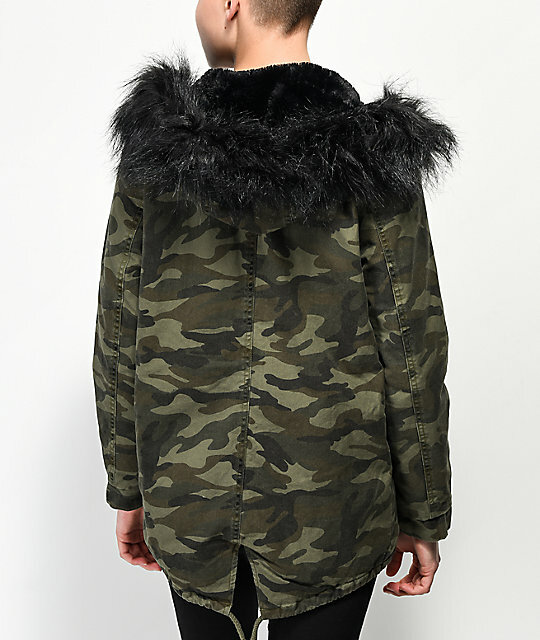 Camo Faux Fur Jacket from Jou Jou. Zip up closure with snap button fastened placket. Black Faux fur lining with removable faux fur hood detail. Adjustable drawstring hood and bottom hem. Two snap button down hand pockets. Shell: 100% cotton, Lining: 100% polyester, Hood Faux Fur: 46% acrylic, 34% modacrylic, 20% polyester. 27" (69cm) from top shoulder seam to bottom hem.